Hey, what’s up with their spelling of “happiness”, grammar and spelling fiends will wonder (such as myself). Well, before watching the movie, the “y” in “happyness” bugged me but after seeing the movie, I know there’s actually a reason for it. Not just Hollywood execs being too cheap to hire a proofreader. 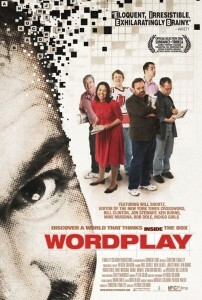 The documentary, Wordplay, examines the world of crossword puzzle aficionados. It’s a world confined to a 15×15 grid of black and white spaces that need to be filled in, and once filled in, there’s a self-satisfying feeling of euphoria and revelling in one’s “nerdiness”. At least that’s how I feel when I finish or nearly finish a crossword puzzle. The film has a handful of cameos from notable celebrities and puzzle fans, including former U.S. president Bill Clinton, The Daily Show’s Jon Stewart, Indigo Girls, New York Yankees pitcher Mike Mussina, filmmaker Ken Burns, former Sen. Bob Dole and Will Shortz, the crossword editor for The New York Times. However, the film’s main focus is on the top-ranking competitors vying for the top spot (and bragging rights) in the American Crossword Puzzle Tournament in Stamford, Conn. 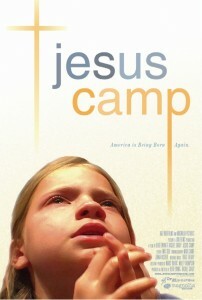 If you’re a Christian Evangelical (or zealot, even), you’ll probably be unfazed by this movie and walk away thinking what a great camp for children. If you’re not, then this movie is eye-opening and perhaps a bit unsettling. It’s full of poignant moments that will leave you thinking and talking. As a fan of the humorous memoirs genre (with such writers as, most notably, David Sedaris and Augusten Burroughs), I honestly loved this book. 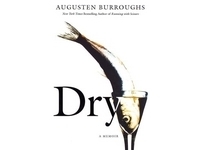 In Dry, you’ll read about Augusten’s stint in rehab for his alcohol addiction and his subsequent “life after rehab”. The beginning starts off with how his life is, working at an advertising agency and being a drunk (sometimes suffering from a hangover at work, noticeable by his co-workers). Eventually, his boss tells him he should check into a rehab centre. He chooses a “gay friendly” rehab and there, he meets all sorts of interesting characters. One of which is a doctor who stole Valium from his patients and Paul, “the first pregnant man [Augusten] has ever seen”. He also meets a British guy named Hayden, who’s also an alcoholic and a crack addict on top of that, and the two soon become fast friends. If you love romantic comedies, you’ll probably love Imagine Me & You. While it does feature a wedding in the beginning and then finding true love at the end, plotted out in somewhat predictable fashion, the “chase” inbetween these two events is delightful to watch. 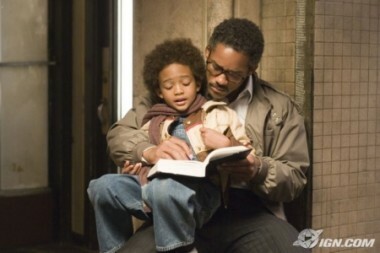 The concept of the film is love at first sight. That a person can feel so greatly connected with another person through one mere look. Granted, this film concept isn’t all that avant-garde since there have been plenty before with the same theme, but in Imagine Me & You, this is a story about love at first sight between two females. It actually kind of reminds me of another Piper Perabo movie, Lost and Delirious, which focuses on the concept of love that surpasses gender boundaries and is just love in its purest form, between two people regardless of gender (and other variables). The iSee video case is by Contour Designs, who also make the well-regarded Contour Showcase. I’ve had a Contour Showcase for my 4th generation iPod and it was a great case in terms of protection, but added a helluva lot more bulk to the otherwise slim iPod. 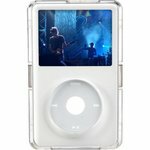 The Contour Showcase for the 5th generation iPod is currently not yet available for distribution, and although I was pleased with the case, I decided to get the other case available from Contour Designs — the iSee. Previous iSees sort of sucked, because you had to push the iPod through the top, thereby causing more scratches on the iPod (though they later added some film, to wrap the iPod in, with the packaging). However, these new iSee cases are two piece shells that snapped together, like the Agent 18 cases. I bought the Brando Workshop Ultra Clear Screen protector for my iPod last week. Thought I’d do a little review of it, perhaps it will be helpful to some of you looking for a little extra scratch protection. So I bought it from Brando Workshop. Total came to $12 USD, there was free shipping for it. I bought it last Wednesday and it came today, so it took a little over a week (from Hong Kong to Ontario, Canada). I chose this one because I read excellent reviews for their PDA protecters, so I figured this would be a good way to go. And since I really don’t want to use the water application that the InvisibleShield requires, it was down to this or Martin Fields Overlays which I also heard good things about. Since Brando and Martin Fields had similar products but Martin Fields came to about $15.98 USD and Brando was just $12 USD, I thought I’d save a couple bucks since I’m just using this to protect the iPod from scratches. Let me be honest: I love chick flicks. Most movies about romance, tossed in with some goofy comedy or drama, and I’m so there (probably). When I heard about the movie adaptation of a book I’ve heard good things about, I was quite interested in seeing the movie. I’ve never been a fan of Asian cast movies (i.e. Crouching Tiger, Hidden Dragon), albeit being Asian myself, but that’s mostly because I thought movies with thick accents would be not so easy to follow. Well, it turned out that that was the case.